Our dear friend, Mannie Pereira passed away this last Sunday night. Mannie was a man who lived for Christ with every fibre of his being. He was a man full of passion for our Lord and His Great Commission and call and we will all miss him dearly. Come celebrate Mannie’s life this Friday. 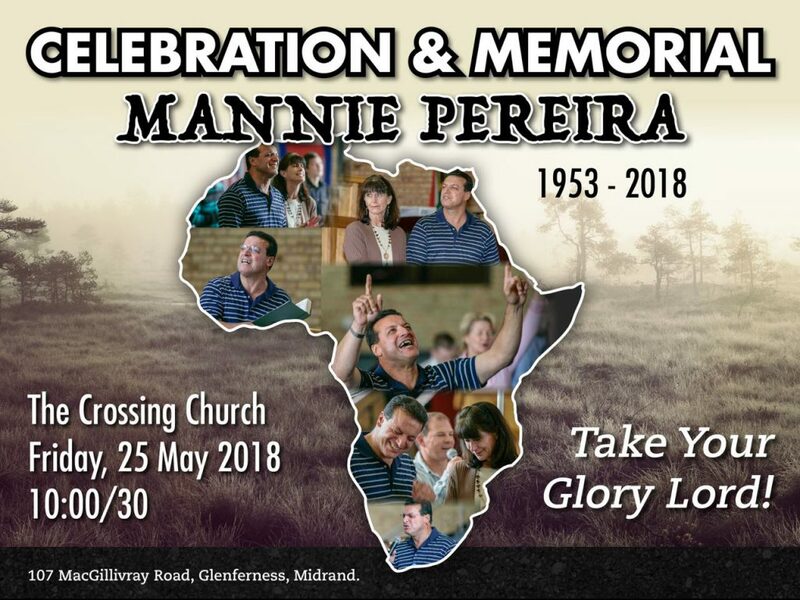 Please feel free to invite others wanting to join as we honour Mannie’s legacy.